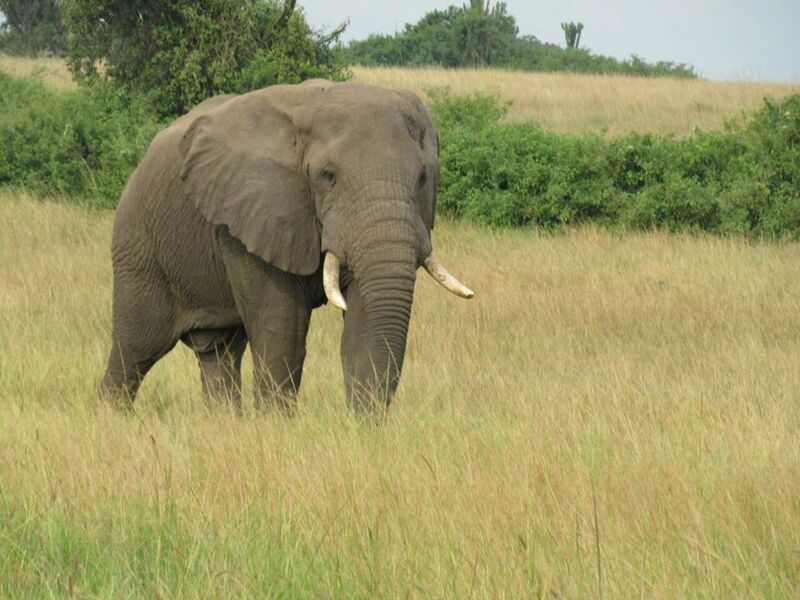 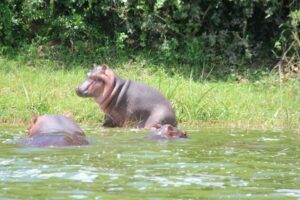 Queen Elizabeth National Park is understandably Uganda’s most visited tourist destination.It is a habitat of savanna grassland mixed with various kinds of trees and grassy plains,swamps,volcanic cones ,deep craters and tropical rain forest. It is home to mammals such as hippos,Elephants,Cape Buffaloes, but there are also Warthogs, Waterbuck, Uganda Kob, Topi . Queen Elizabeth National Park is an excellent place to sight large game, track the chimpanzees in the Kyambura Gorge, go bird watching on the Kazinga Channel, and see the famous tree climbing lions in Ishasha,southern part of the park is quite a sight in the fig trees ready to attack unsuspecting “meal” targets like the Uganda Kobs (See main photo). 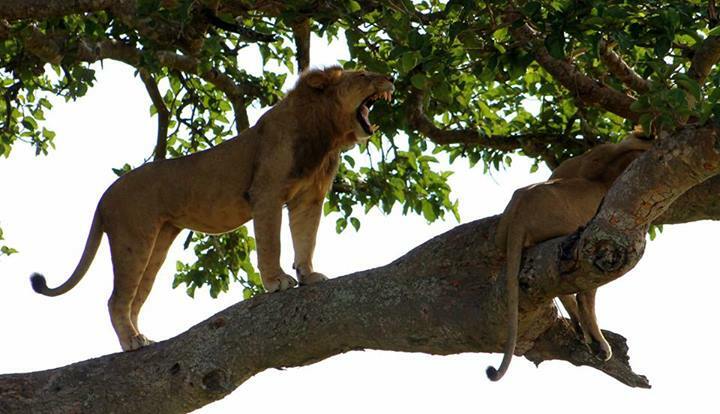 Uganda is privileged to be one of the two destinations in the world with tree climbing lions. Kazinga Channel Boat Safari between Lake Edward and George is a two-hour ride where you can see hippos, crocodiles, monitor lizards, elephant herds, buffaloes, antelopes and many different kinds of water birds.A trip to this national park is worth the experience.Other places that can visited include Katwe Salt Lake .It is here that you can see the natives in salt mining activity which provides them a source of income. If you visited between October to May you will be able to see flamingoes at “Lake Munyanyange” in particular as the main feeding ground. 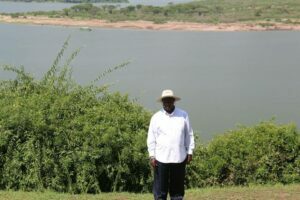 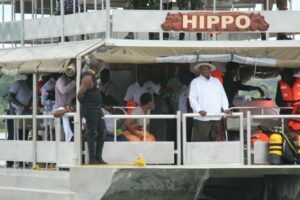 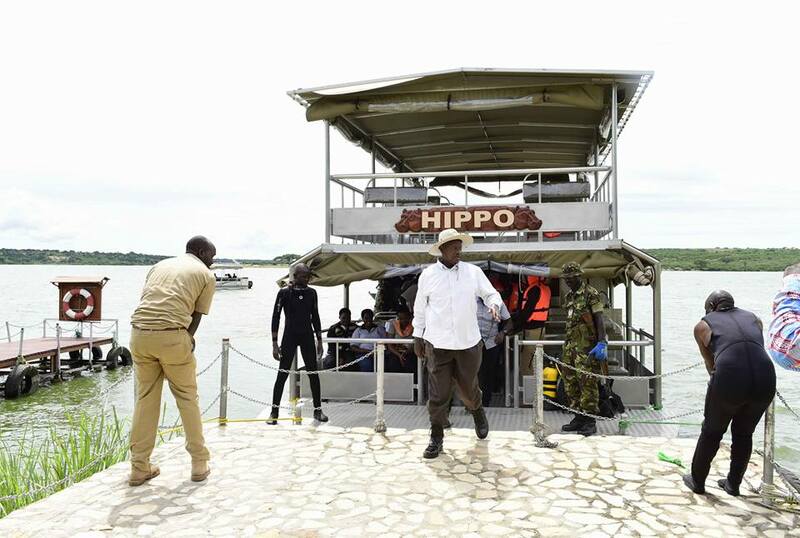 The recent visit on April 17,2016 by the President of Uganda-Mr.Museveni is a true testimony of its uniqueness.The President was amazed by the hippos in the water while taking a ride on the “Hippo” Launch cruise along Kazinga Channel.He could hardly stay seated during the launch cruise. 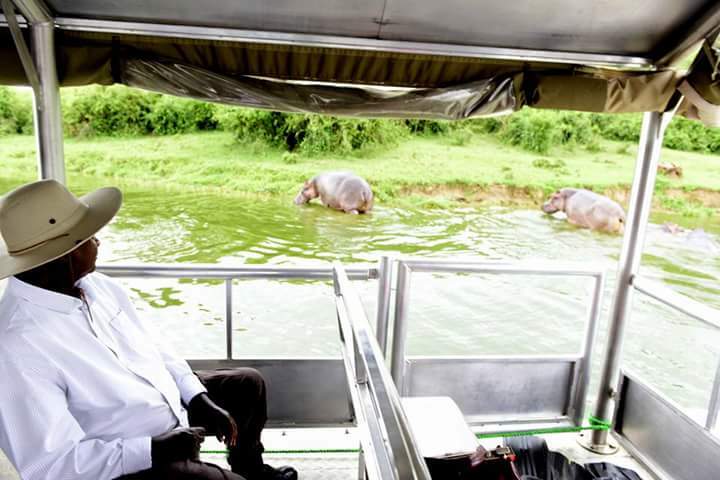 I agree with the President who immediately took this opportunity to assure Uganda and the World that Uganda is safe and security is guaranteed for tourists in any part of the country.